“Twin Tribulations” is a space-based 5v5 Gauntlet-class War Game Scenario. 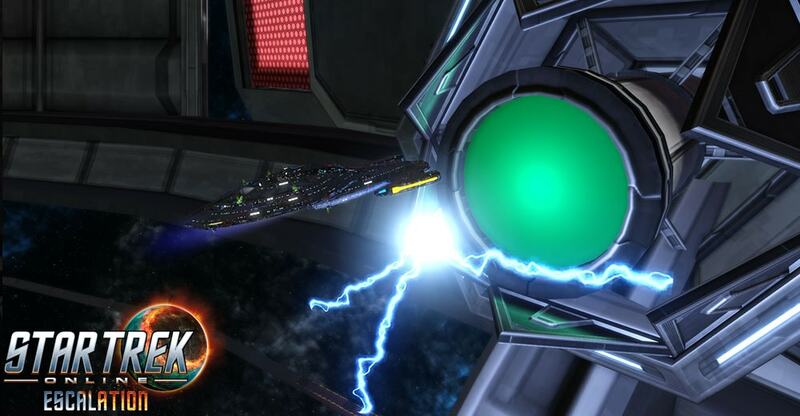 In a Gauntlet-class Scenario, Captains will not be engaging in direct battle with the opposite team, but racing against them to solve puzzles and defeat enemies. “Twin Tribulations” pits two squads of captains will in a race to be the first team to reach the finish line in a holo-constructed version of the station in the Omega Leonis System. Various Alliance enemies will be holo-represented within the scenario to practice solving challenges under duress. The Alliance is concerned with puzzle solving and team building in this scenario, so Captains will not be finding themselves in a direct battle with the opposite team. This queue is designed for level 50-60 players of all factions, with normal, advanced, and elite versions. Both queues will also reward marks, dilithium, and R&D materials. Check out the “Twin Tribulations” queue when it goes live with Season 13.